Vegas is home to top restaurants in the world. You can find mouthwatering pizza and more tasty food near the Las Vegas strip. When you’re in Las Vegas, you’ll never have a dull moment. The Las Vegas Strip is the premier tourist attraction in the area, featuring popular casino resorts, restaurants, nightlife and more entertaining venues. While enjoying a night out on the town, you’ll want to grab a bite to eat. Some of the best-tasting food may come from the local pizza shops and other eateries in town. Pizza doesn’t always have to include the typical toppings of cheese, pepperoni or sausage. 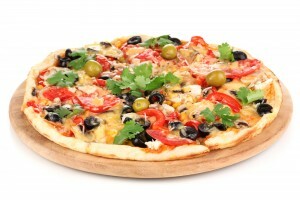 Having the options to pick and choose among various toppings is a pizza lover’s dream, and putting your favorite meats, fruits and veggies on melted cheese and seasoned dough will delight your taste buds. Las Vegas has been recognized by many locals and visitors alike as having some of the best restaurants in the world. When you travel downtown, you can practically find restaurants on every corner. If you’re looking for delicious downtown pizza in Las Vegas, search for the shops that offer the most unique blends of cheese, crust, sauce and toppings, rather than choosing the conventional styles of pizza. There is always something new to try and experience in Vegas. Whether you’ve eaten at dozens of restaurants and explored every casino, Vegas offers more entertainment options than you can possibly imagine. You can actually visit the area on several different occasions and still never see everything thing the Entertainment Capital of the World has to offer.